I have this friend who has been there for me during some dark times and I never knew how I could repay her. Now is my chance to try. I am searching for my mother. Her maiden name is Nancy Evalynne Spencer and she was born 10/12/55 in Tarrant, TX. 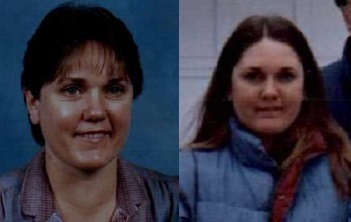 I have not seen her since the early 1990’s and have not heard from her since January 2001. She is under 5 feet tall, no clue on her weight but if she is like me then she tends to fight a few extra pounds. She has always had pride in her hair so it is likely long and she tends to keep it dark brown or black. Her eyes are hazel. Her married names (that I know of) have been Brown, Campbell, Stewart, and Collier. Her last known location (via court records) was Spokane, Washington in 2010. She’s also lived in Florida, Iowa, Ohio, Minnesota, and probably many other states that I don’t know of. She has struggled with alcoholism and drug abuse. I’d assume these are still issues. She is very suspicious of technology and lives ‘off the grid’ so finding her on the internet is next to impossible. I found her three sons (and my brothers) because of Facebook so I’m giving it another shot. PLEASE share this post. I want to stress that while my mom’s last known location was the Spokane area, she has ties with northern Florida as well. So FL friends, please spread the word to your friends too. I was born in Florida and my mom and I lived there off and on. My brothers live there as well. While they have not spoken to her, it is still possible that she might have moved south. One of my brothers told me awhile back that he’d heard something about her being in the area but didn’t know when. She is trying every avenue that she can. Dead ends so far. Friends…this is not misplacing your keys; this is HER MOTHER. Please visit these sites. Share it, Tweet it, Talk about it. Let’s find Nancy somehow and let her know that her daughter needs her. Thank you so much. I cannot express how much this means to me.